The Supreme Court has blocked a Louisiana abortion law from going into effect, dealing a hefty blow to pro-life efforts in the state. The “Unsafe Abortion Protection Act” or “Act 620,” which requires doctors who perform abortions to have hospital admitting privileges within 30 miles of their clinics, has been legally obstructed ever since it was enacted in 2014. The Supreme Court announced Thursday that it would continue to block the enforcing of the law after a group of Louisiana doctors filed a brief under June Medical Services v. Gee. 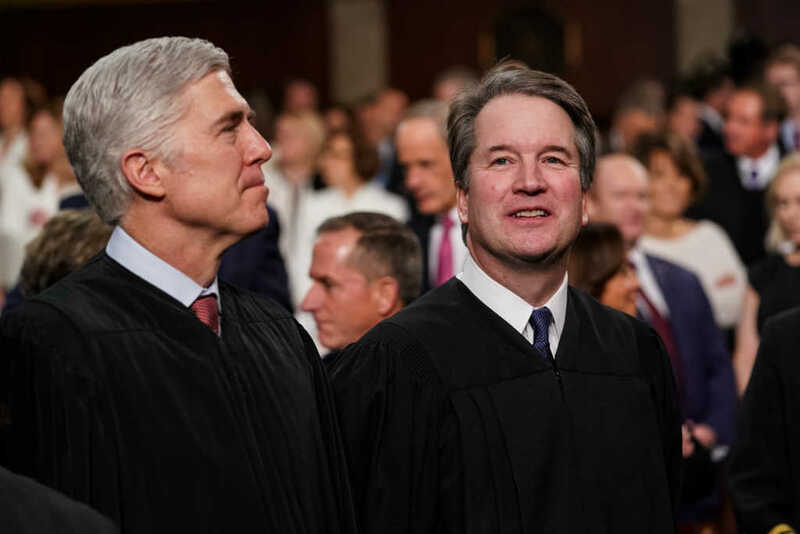 The vote came in at 5-4, with Chief Justice John G. Roberts Jr. joining forces with the court’s four liberals to form a majority. The court gave no reason for its decision to grant a temporary stay, though it is important to note that the law may still be challenged again in the future, and could end up being enforced at a later date. The court’s latest addition, Trump appointee Brett Kavanaugh, penned a dissent in the decision, focusing mainly on the prospective ability of the doctors in question to obtain admitting privileges. Under the new law, doctors who perform abortions must complete this within a 45-day transitional period, but opponents argue this causes delay and undue burden upon the women who are attempting to undergo abortive procedures as a matter of urgency. There have been many questions raised as to the level of difficulty doctors would face in gaining admitting privileges at local hospitals — something which Kavanaugh acknowledged in his dissent. “In order to resolve the factual uncertainties presented in the stay application about the three doctors’ ability to obtain admitting privileges, I would deny the stay with prejudice to the plaintiffs’ ability to bring a later as-applied complaint and motion for preliminary injunction at the conclusion of the 45-day regulatory transition period,” Kavanaugh wrote. The three other dissenting justices were Clarence Thomas, Samuel A. Alito Jr. and Neil M. Gorsuch. What was the reaction from pro-lifers? There was disappointment in the pro-life community, who were hoping that the conservative additions to the Supreme Court would swing in their favor and enforce the new provisions. However, campaigners are also convinced that the law will eventually come into effect. “While we are disappointed the Unsafe Abortion Protection Act will not go into law immediately, we do look forward to the potential of the law going into effect later this year after the Court either denies the petition for certiorari, or upon a ruling in Louisiana’s favor after full briefing on the merits,” said Executive Director of Louisiana Right to Life, Benjamin Clapper. The act stipulates that all abortion doctors must have admitting privileges to at least one hospital within 30 miles of the clinic in which the procedure is due to take place. This provision is designed to ensure the highest level of physician competence and also aims to safeguard women from “unsafe” terminations. In addition, the act would also require doctors who perform more than five abortions a year to maintain proper licensing and would make some minor amendments to current informed consent policy. Why are people against it? Pro-abortion campaigners believe that if the law is approved of by the court, it will signal a new era of abortion restrictions and would compound fears over the increasingly conservative Supreme Court. The number-one fear coming from the left is, of course, that these small legal restrictions will eventually culminate in the overturning of Roe v. Wade. If the law isn’t permanently struck down, “women who still have access to abortion services would face delays, be forced to travel long distances and have to endure other obstacles that could harm their health,” wrote Nancy Northup, head of the Center for Reproductive Rights, for the The New York Times. “Undoubtedly, some women will seek out unlicensed or unsafe abortions, or be compelled to carry an unwanted pregnancy to term. The hardships will be greatest for women in poverty, who already face the greatest barriers to access,” Northup explained. What are pro-life campaigners saying? The majority of pro-life advocates appear to be in support of the bill, as it restricts access to some abortions, endeavoring to keep women safe and hopefully lowering the abortion rate overall. “Abortion facilities should not receive special loopholes opting them out of requirements that apply to all other outpatient surgical facilities,” Benjamin Clapper, Executive Director of Louisiana Right to Life, said in a statement. “We look forward to the Supreme Court’s consideration of this common-sense law protecting the health and safety of women. Faithwire spoke to Pastor Mark Dickson, director of Right to Life of East Texas, who spends three days a week conducting pro-life advocacy at the Louisiana clinic at the heart of this Supreme Court case: June Medical Services, LLC v. Gee. Many have highlighted the similarities between June Medical Services, LLC v. Gee and a Texas statute that the Supreme Court justices struck down in the 2016 case, Whole Woman’s Health v. Hellerstedt. While some pro-abortion campaigners believe this will compel the judges to uphold precedent and rule in the same direction, Dickson highlighted a different angle. That, in Dickson’s mind, is highly concerning with regards to quality of healthcare. “The fact that many doctors in this region have not been granted admitting privileges” to surrounding hospitals should “send up a red flag to many,” the pastor said. There is no doubt that debate over this new law will rage as the case takes center stage before the Supreme Court this week. However, Pastor Dickson urged people to keep in mind the wider abject horror of abortion amid all the technical details of this particular bill — it is, without question, the deliberate ending of human lives.